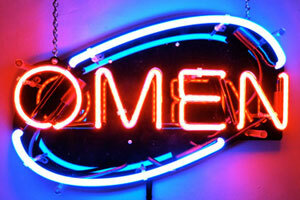 Gary MacLeod's latest neon provocation, OMEN featured in the Street Art Showcase at Toronto's 2012 Nuit Blanche. featuring: Sheppard Fairey, Mr. Brainwash, Max Zorn, Uber5000, Andre Castro Duarte, D3N, Fabrizio Bianchini, Gary MacLeod, and Queen West Alley Artists. 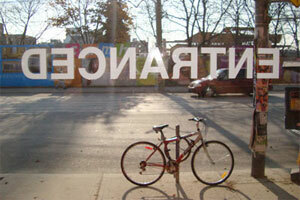 MacLeod's second solo show at Propeller included recent works and rarely seen pieces. This intimate view of MacLeod's work was installed in the North Gallery. For the upArt studio exhibit, Gary MacLeod transformed a Victorian hotel room. 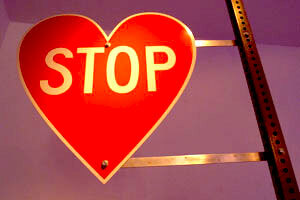 MacLeod filled the room with free-standing sign sculptures and hung illuminated signs and digital images on the walls. This exhibit created a claustrophobic Cinerama of messages, an overwhelming space of visual chatter. 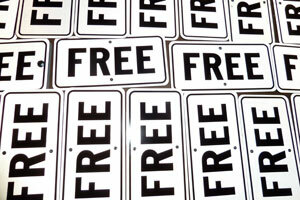 Since 2005, Gary MacLeod has been adding metal FREE signs to city lamp posts and street furniture. 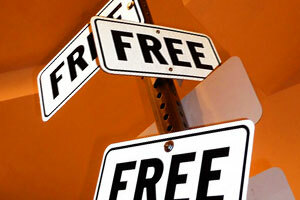 Designed to municipal standards, the signs blend in perfectly with their legitimate cousins and remain in place for years. 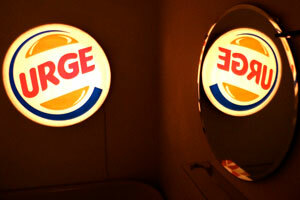 With Gary MacLeod's URGE sticker, the Burger King logo reduced to its consumptive base, has made its way across the world with the assistance of fellow artists and supporters. 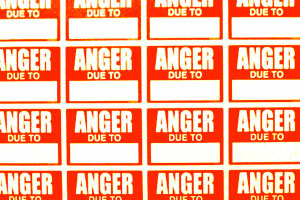 With Anger Due To, Gary Macleod gives the public the ability to talk back to site warning signs, those ubiquitous and half-hearted guardians of property. 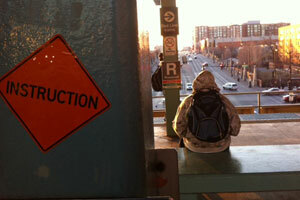 With Instruction, Gary Macleod turns road construction signs into something more constructive. MacLeod rebuilt and expanded the Free Totem as part of the exhibition Intersecting Messages at Propeller Centre for the Visual Arts. Gary MacLeod was one of the eight featured artists who transformed David Pecaud Square for the first annual Street Art Showcase. 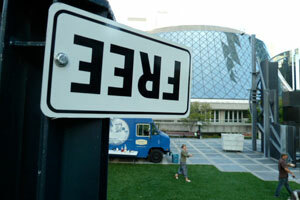 For MacLeod, signs can be a curse or a blessing. They speak to us; he speaks back. In the wake of several sign installations along Queen Street West, Gary MacLeod wrapped up 2010 with Expect Delays, a massive exhibition of illuminated signs, 3-D constructions and new digital photographs. MacLeod: "I am interested in the subliminal messages of advertising and have noticed how often those messages are about "LOVE". 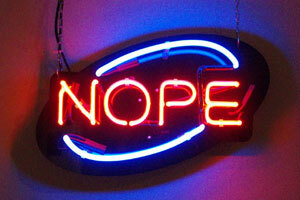 It reminds me of that childhood song: I love you, I love you NOPE!" As a featured artist of the Gladstone Hotel's Fly By Night event, MacLeod mounted large neon signs in the windows of the hotel's Art Bar. 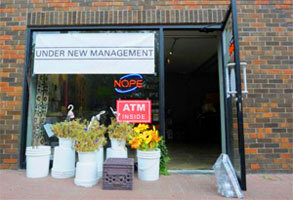 Gary MacLeod's OPEN/NOPE was installed in the window of The New Management's faux storefront adjacent Trinity Bellwoods Park. Under New Management used the space for a summer of rotating installations featured the work of Bill Clarke, Sky Fairchild-Waller, Eric Glavin, Anthony Koutras, Catherine Lane, and Kelly Mark. 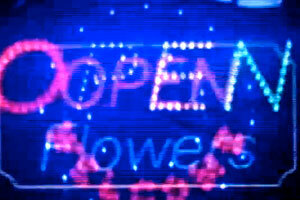 MacLeod's film Open Flowers featured in the Toronto Images Festival's One Take Super 8 event. Using only a single cartridge of Super 8, each film was shot, processed, and projected unaltered. No post-production was permitted; thus, the filmmakers saw their films for the first time with the audience at the premiere. MacLeod: "Two signs blinking, a portrait where the eyes invite you in, then tell you to go away, they love you but hate you, really they tease you but never please you." 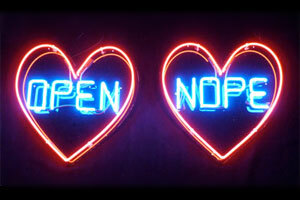 OPEN/NOPE was first installed in its ditych form in the window of Toronto's landmark storefront gallery, Fly. The Gallery 1313 exhibit marked Gary MacLeod's re-emergence onto the art scene, and a new focus on constructed commercial signs and altered digital photography. 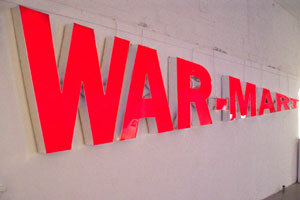 The show saw the debut of his massive WAR-MART sign and the NOPE neon sign that has become a key piece of his art practice.